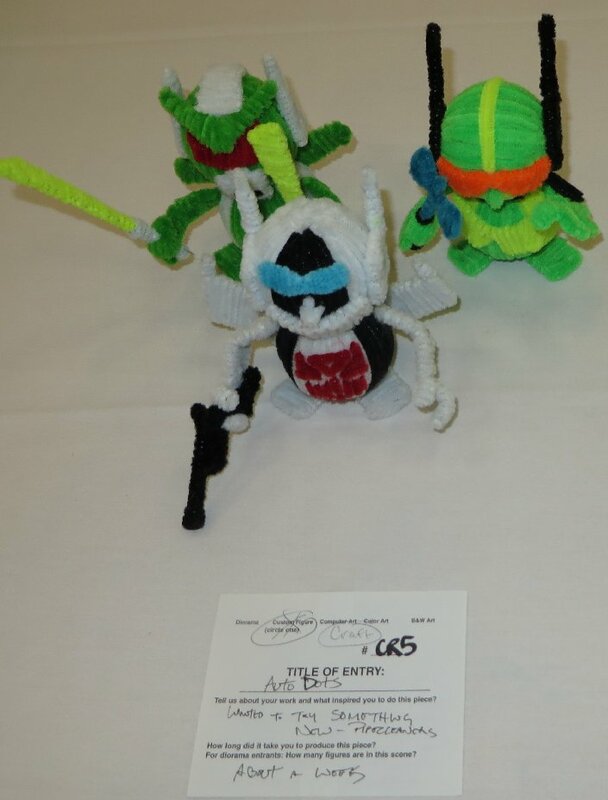 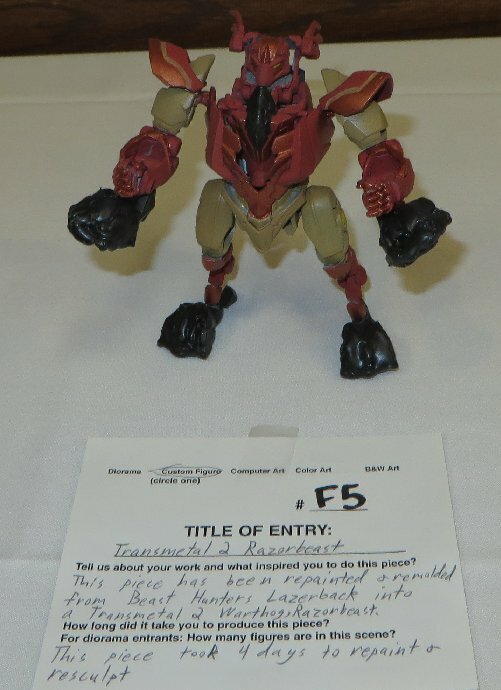 Five categories this year, with a new "Craft" category, for non-toy items that aren't drawings. 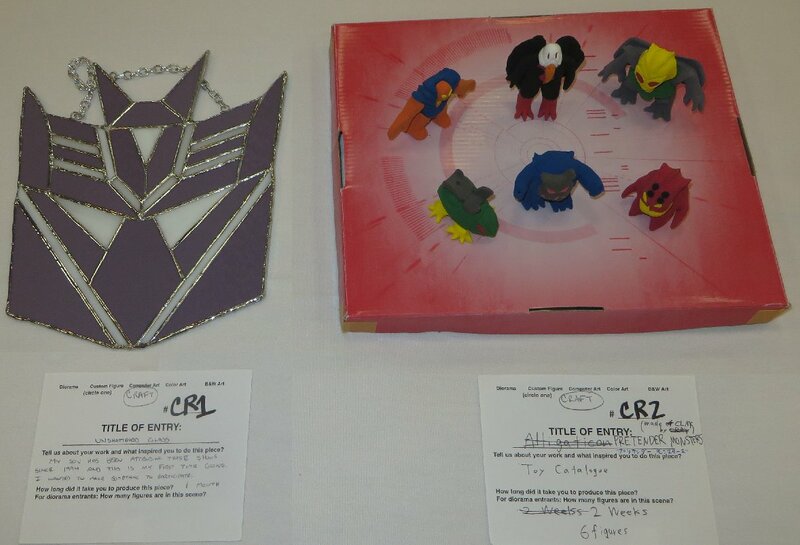 Unshattered Glass won 3rd prize, while Pretender Monsters won 2nd prize. 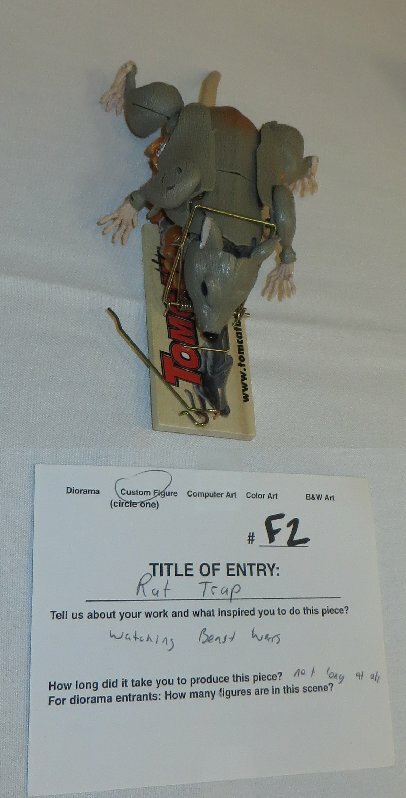 Elite Fem Guard won 3rd prize. 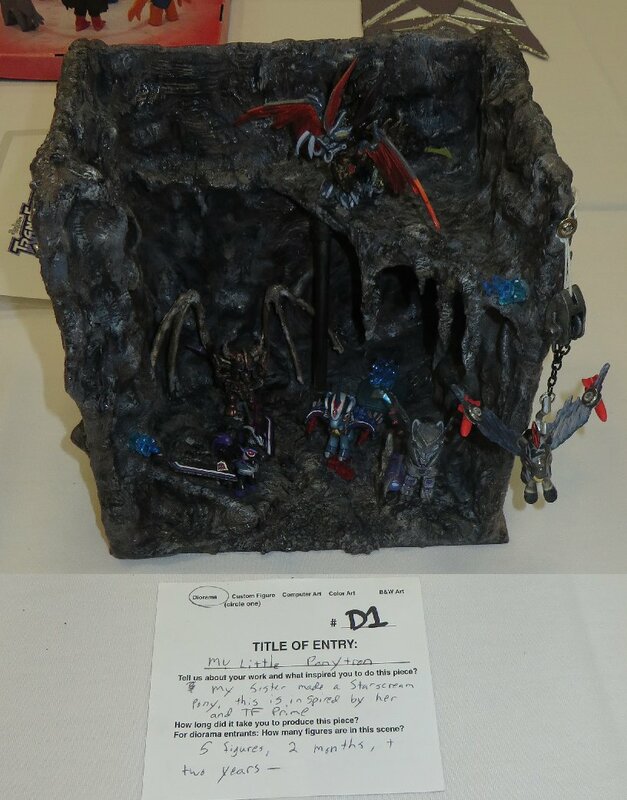 Man of Iron won 1st prize. 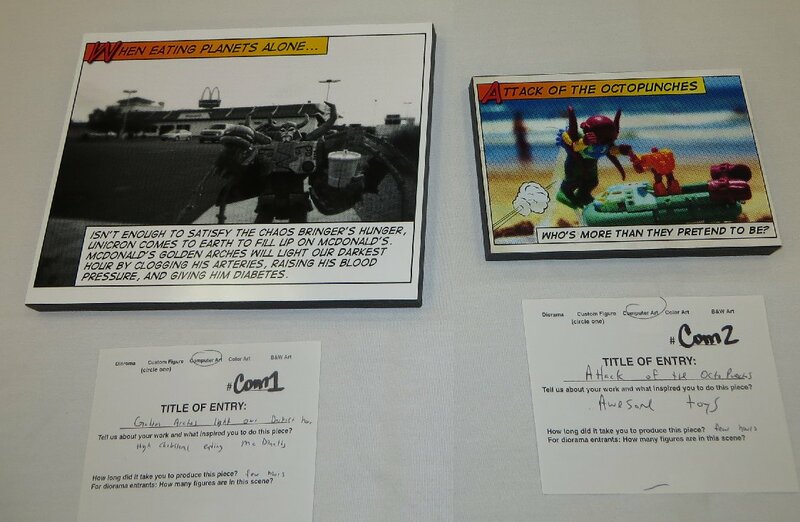 Golden Arches won 2nd prize. 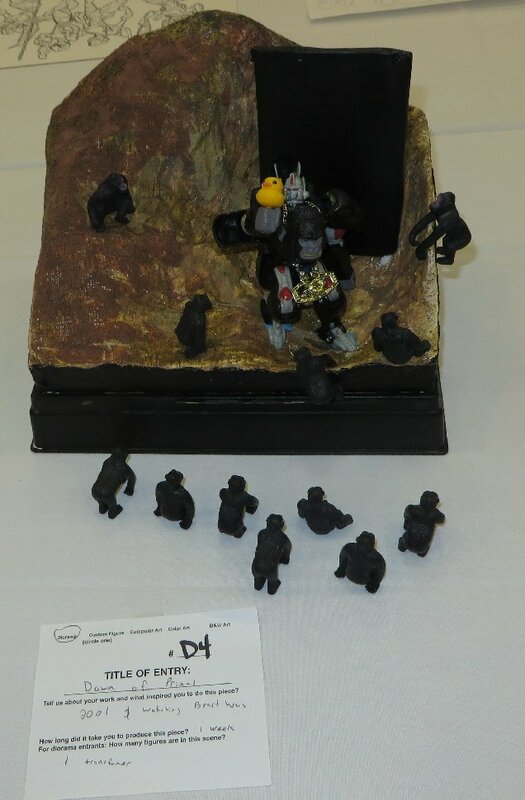 Big Rescue Force won 1st prize. 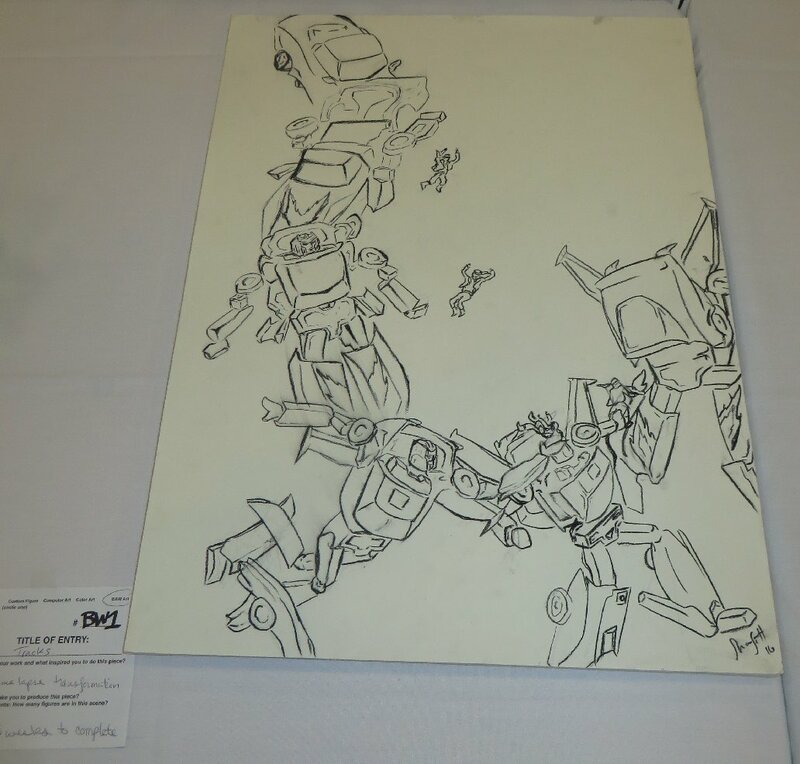 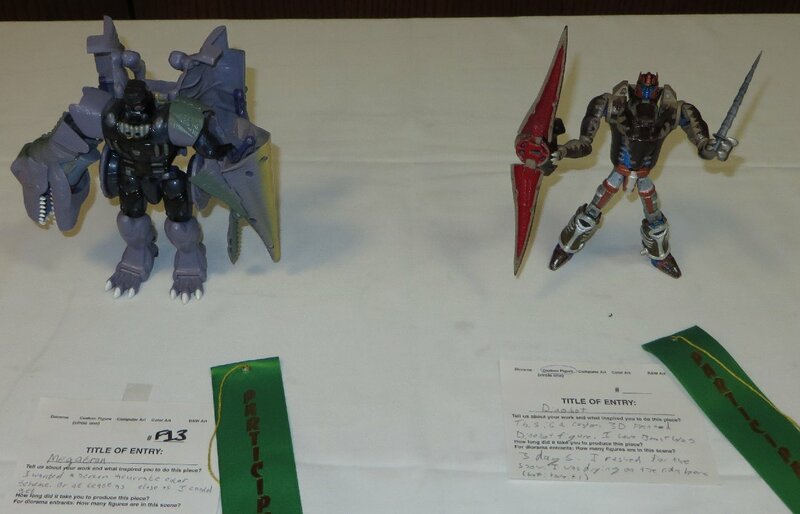 Me Grimlock Badass won 3rd prize. 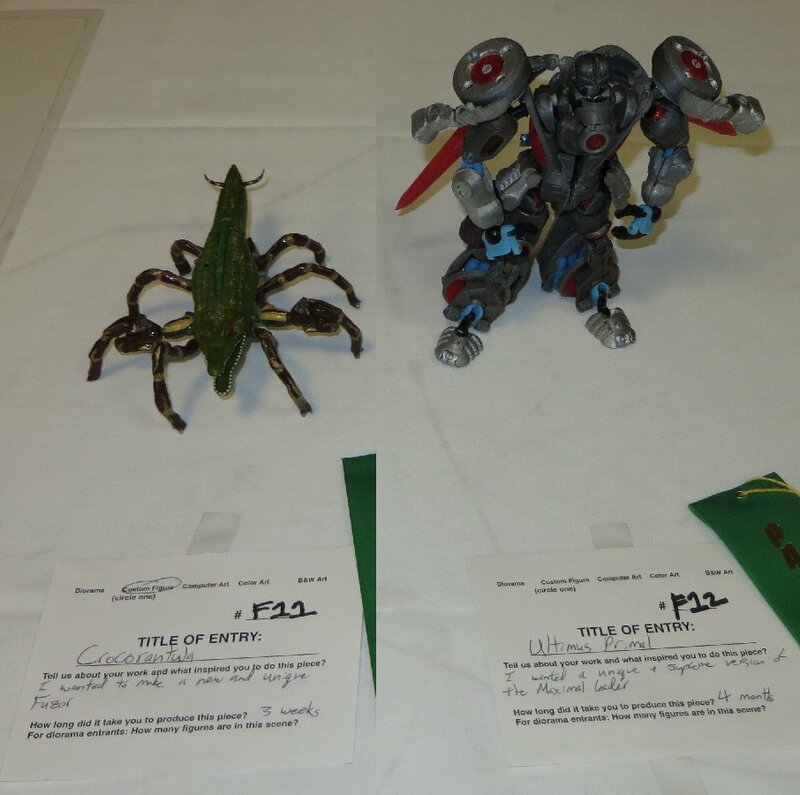 Green Shift won 2nd prize, Exxelion won 3rd prize. 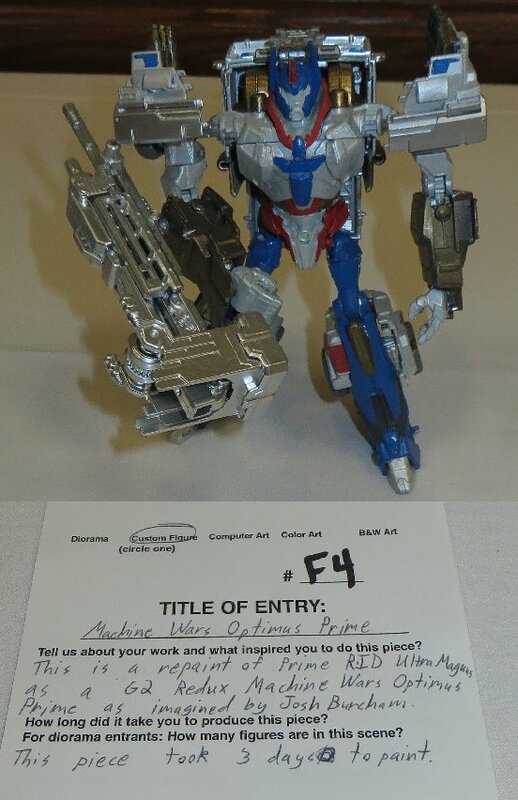 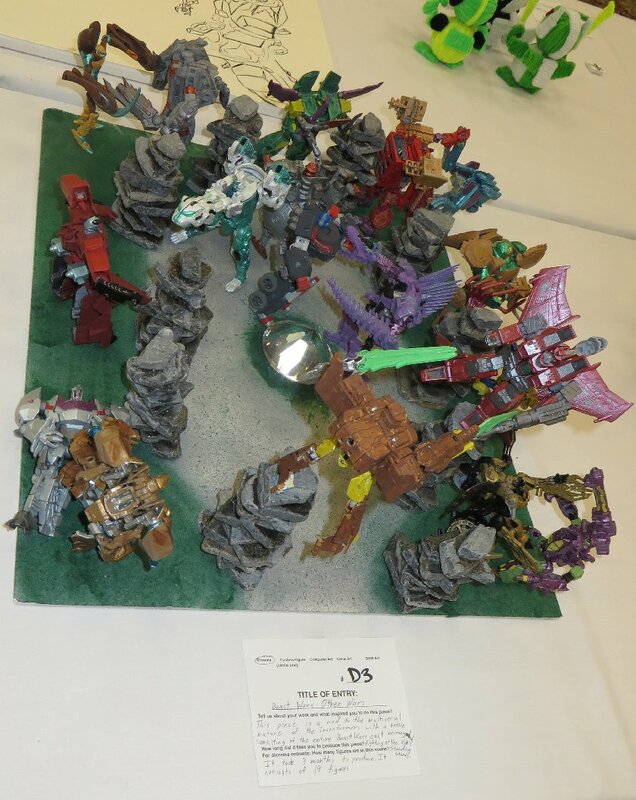 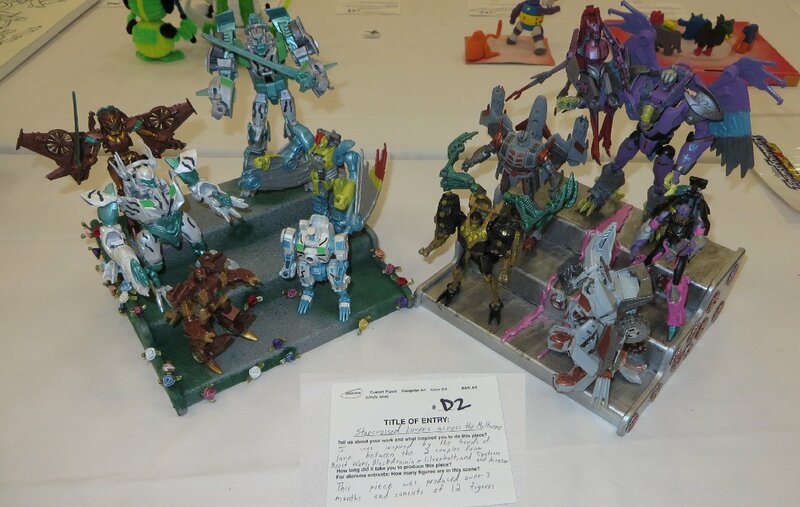 Transmetal Dinobot won 1st prize. 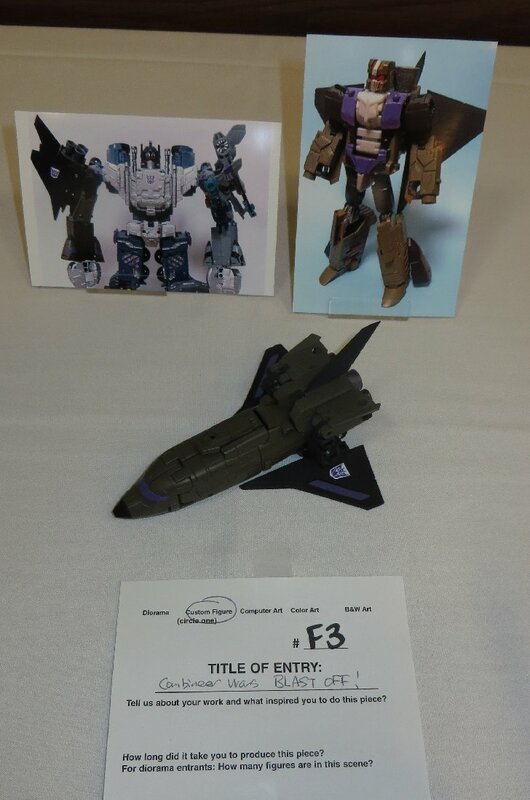 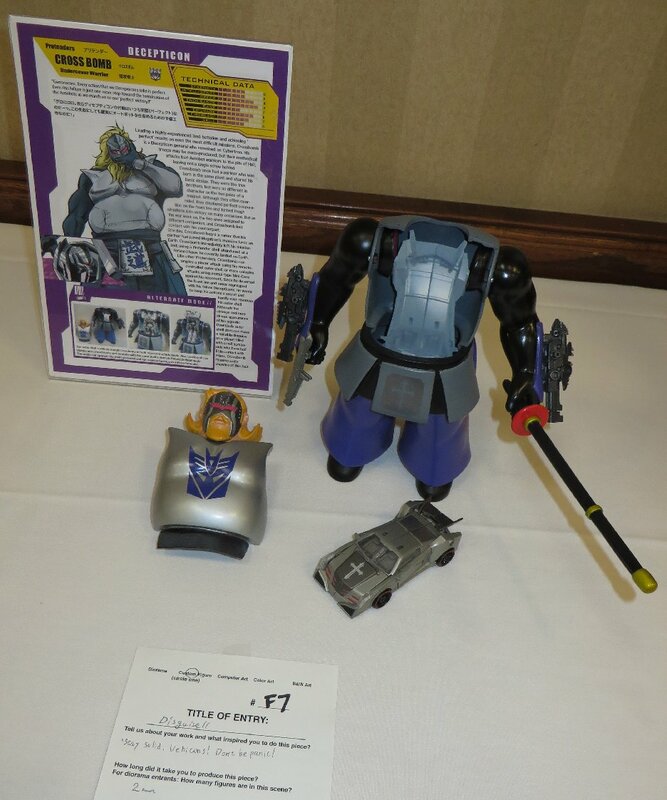 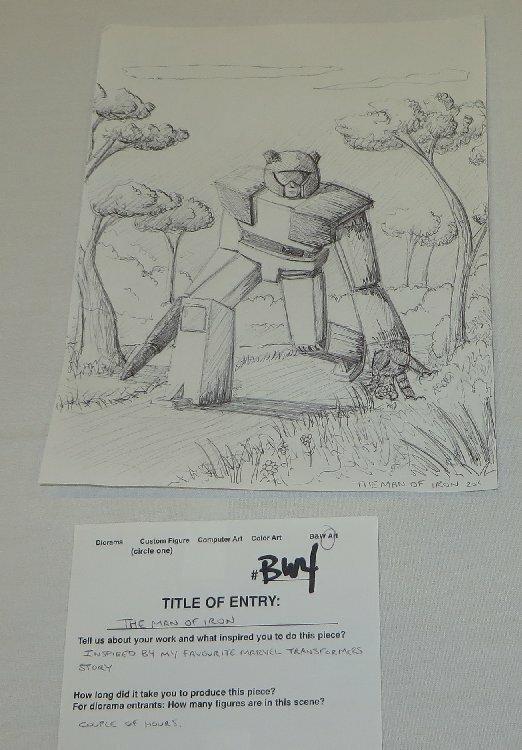 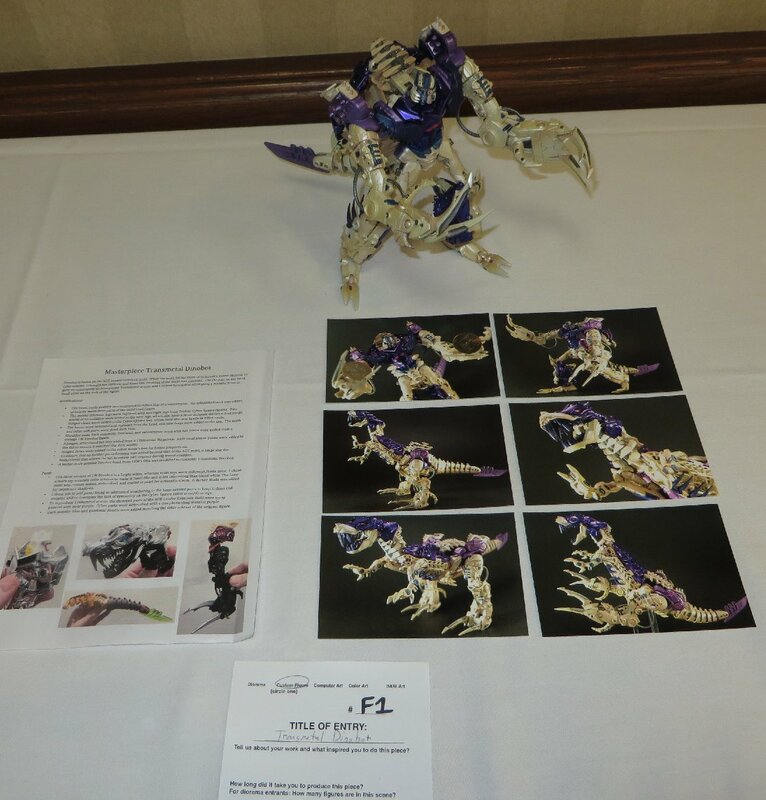 Beast Wars Uprising Snapper won 3rd prize. 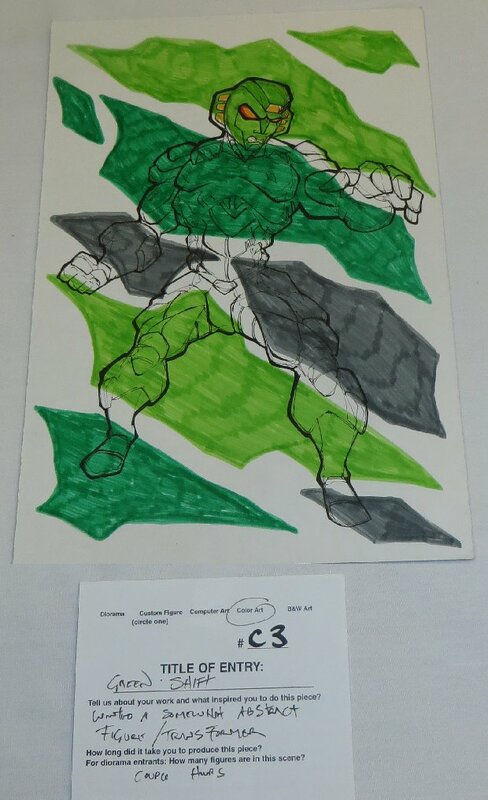 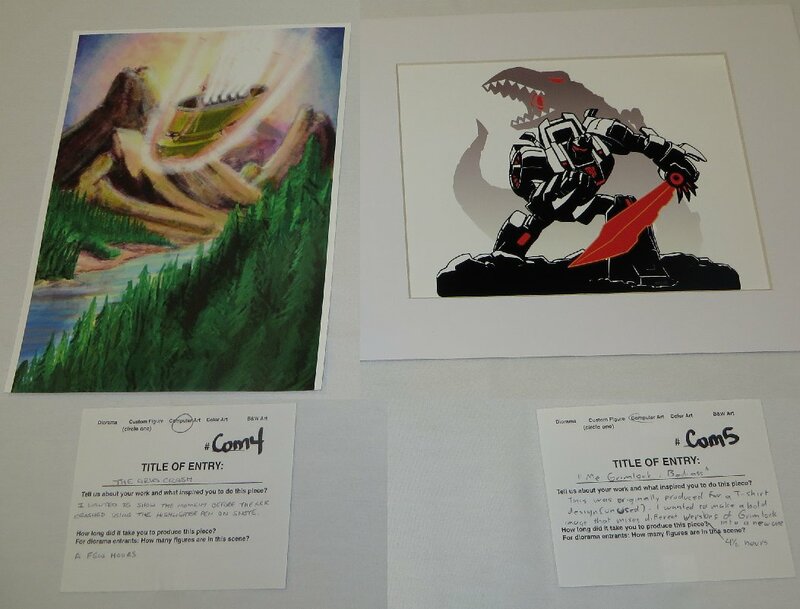 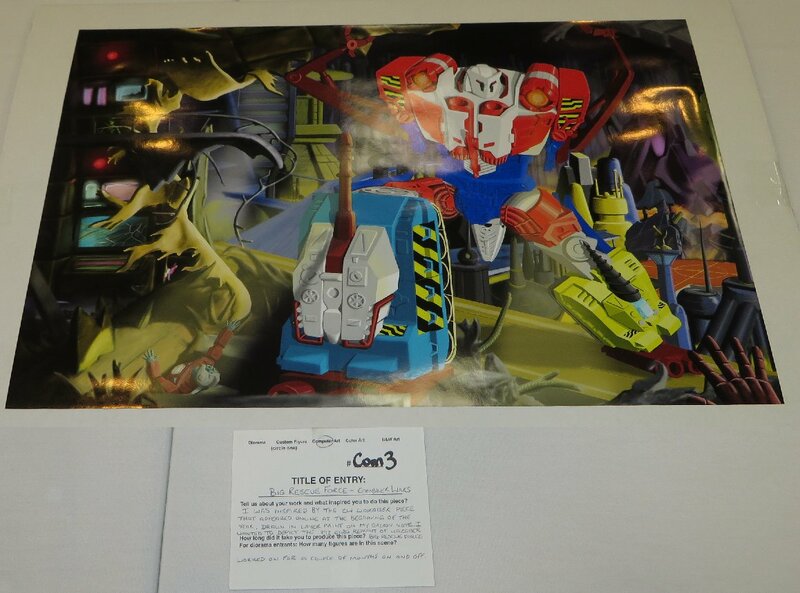 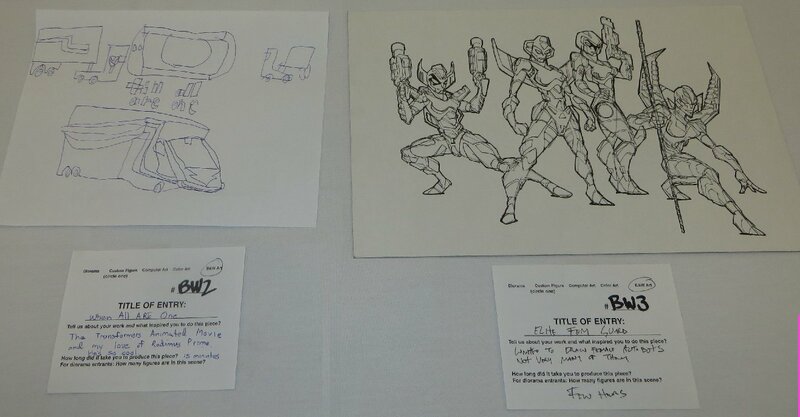 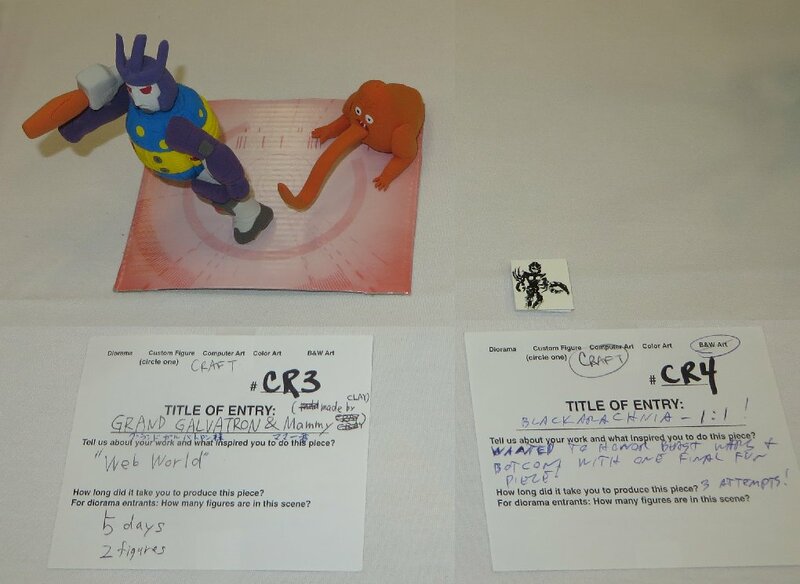 Beast Wars Other Wars won 3rd prize. 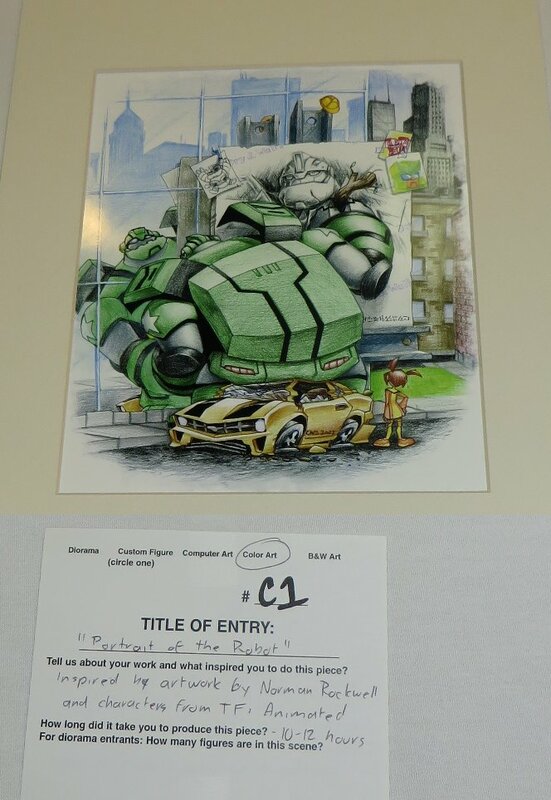 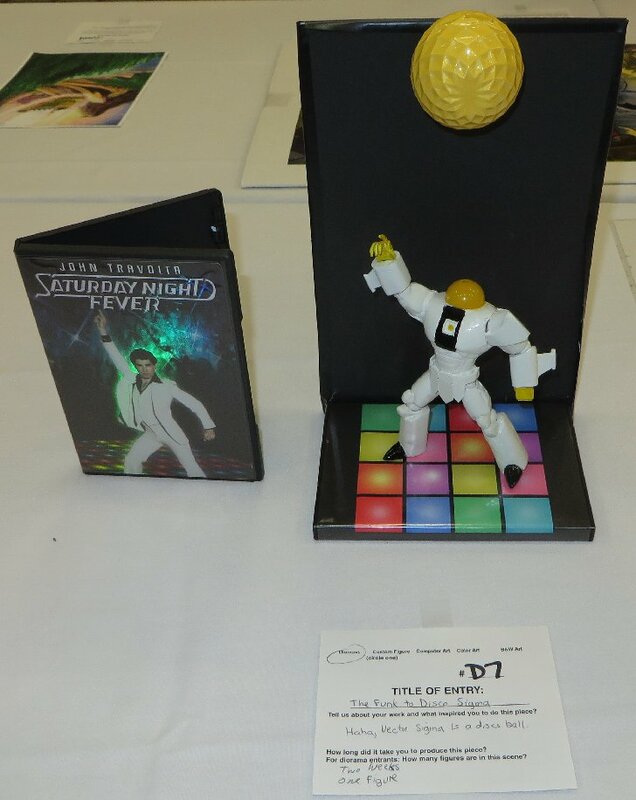 My Little Ponytron won 1st prize. 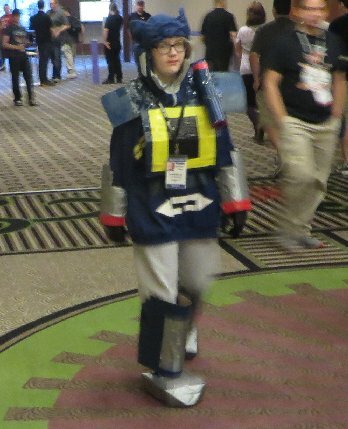 Just like last year, there was a very small amount of costumes this year, and very few quality ones. 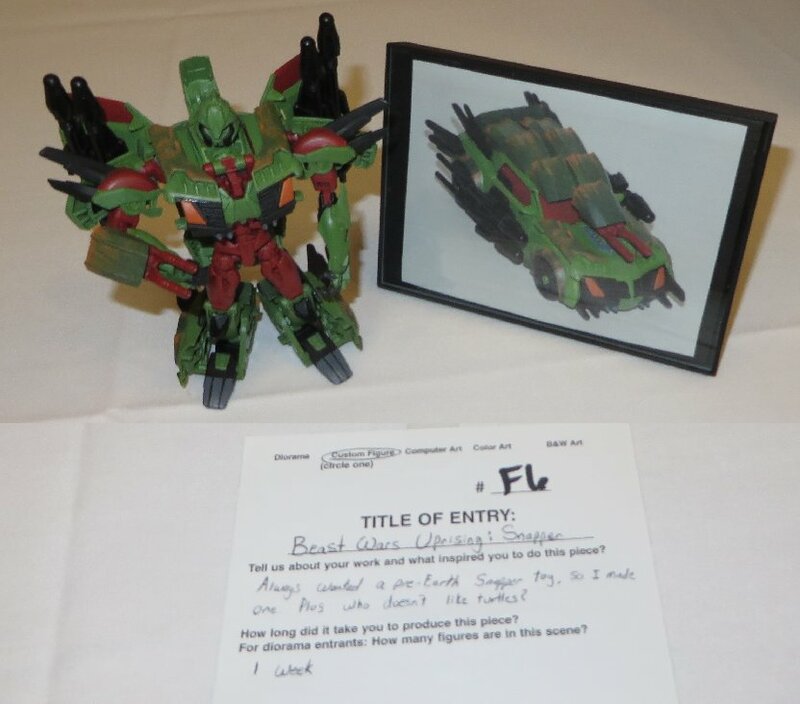 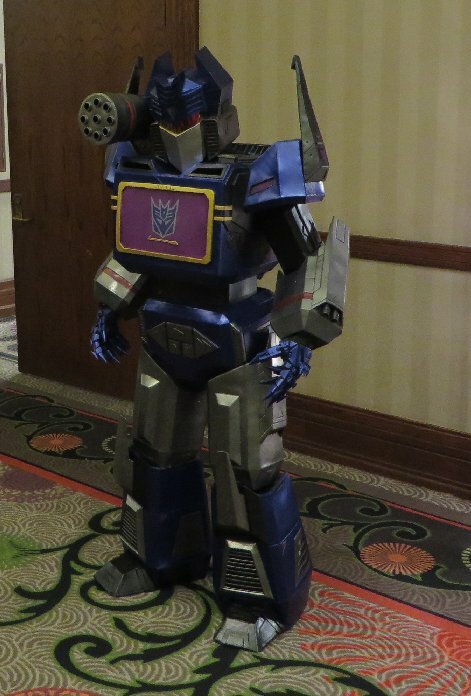 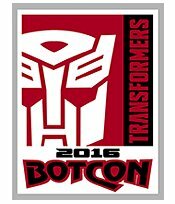 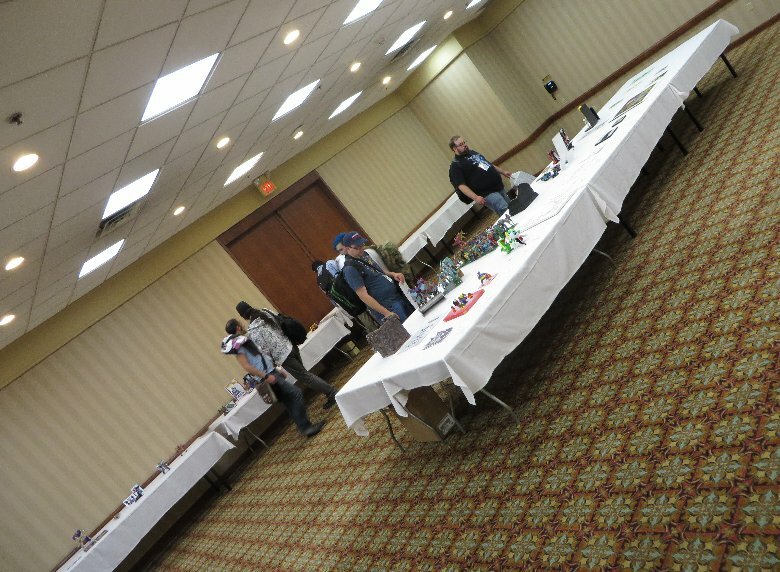 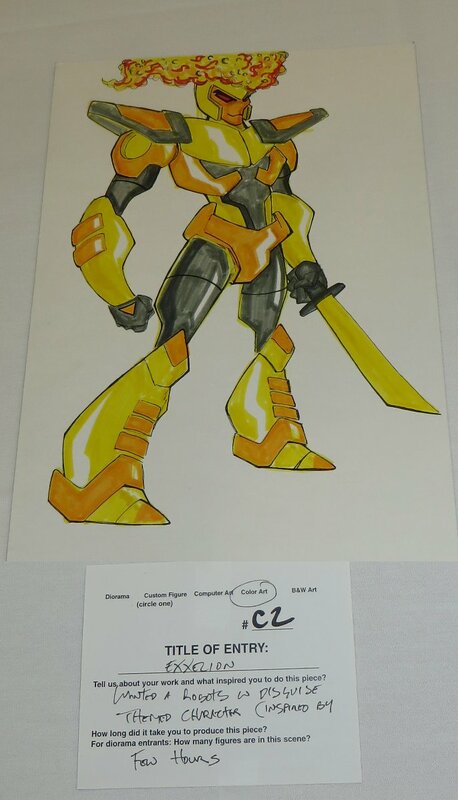 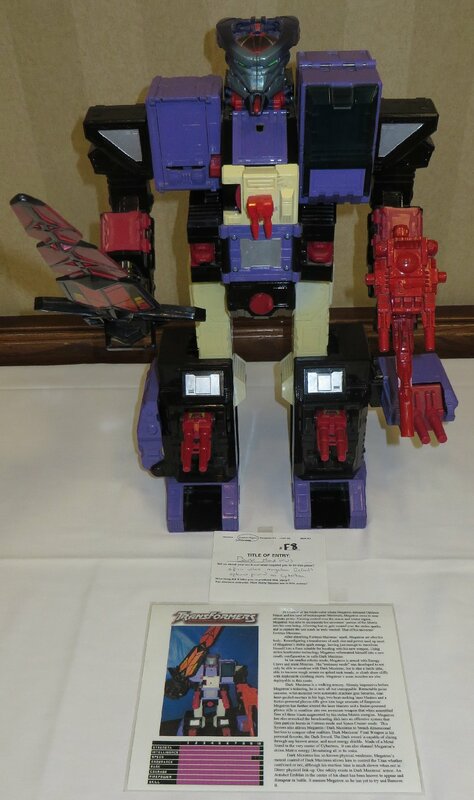 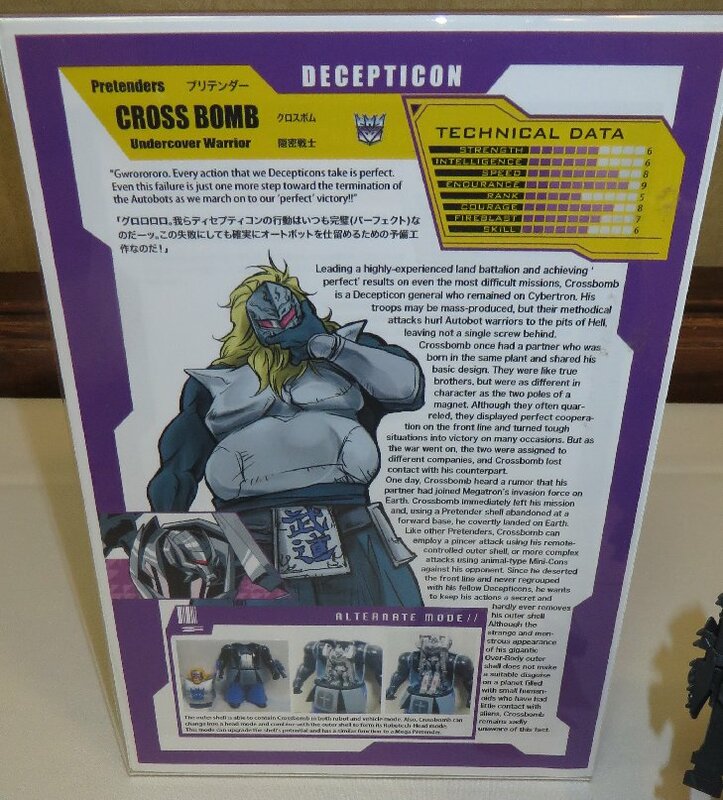 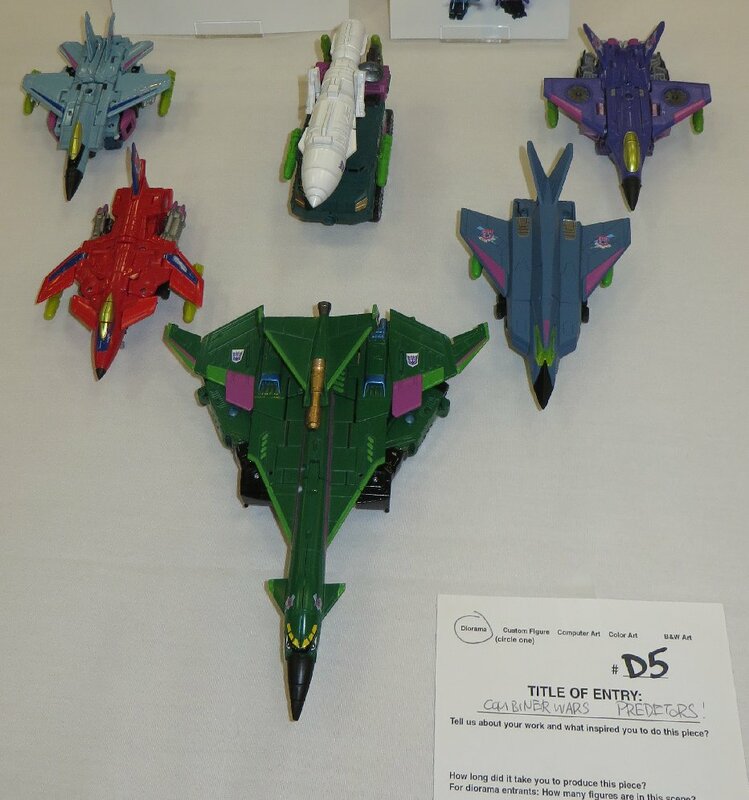 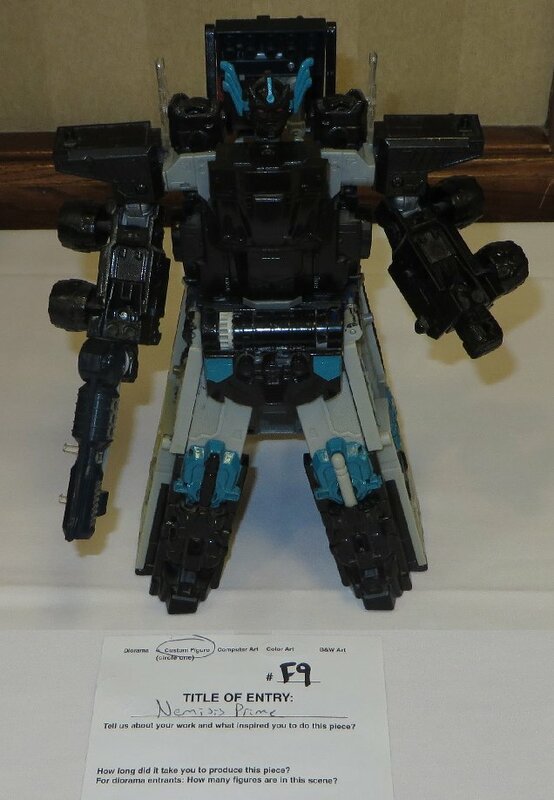 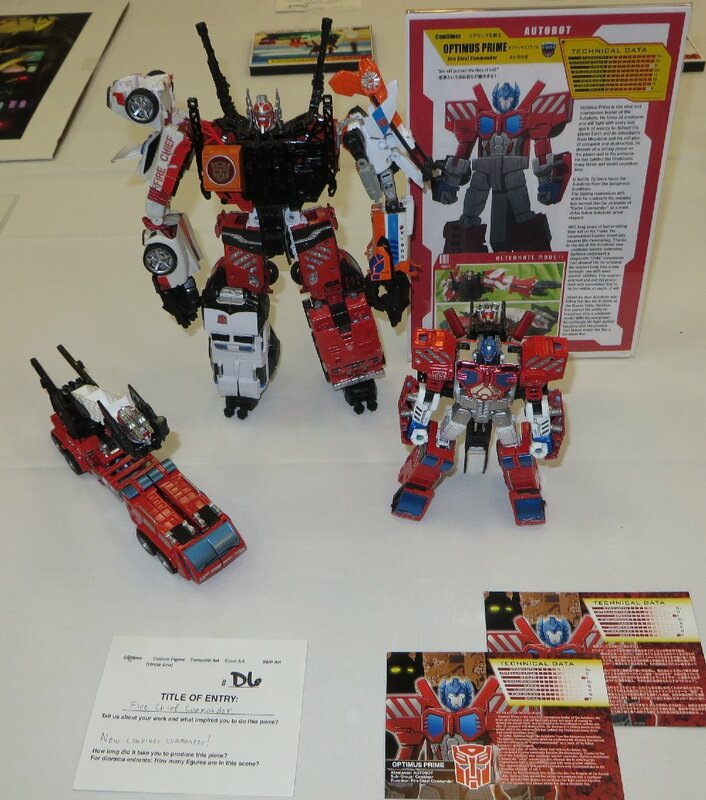 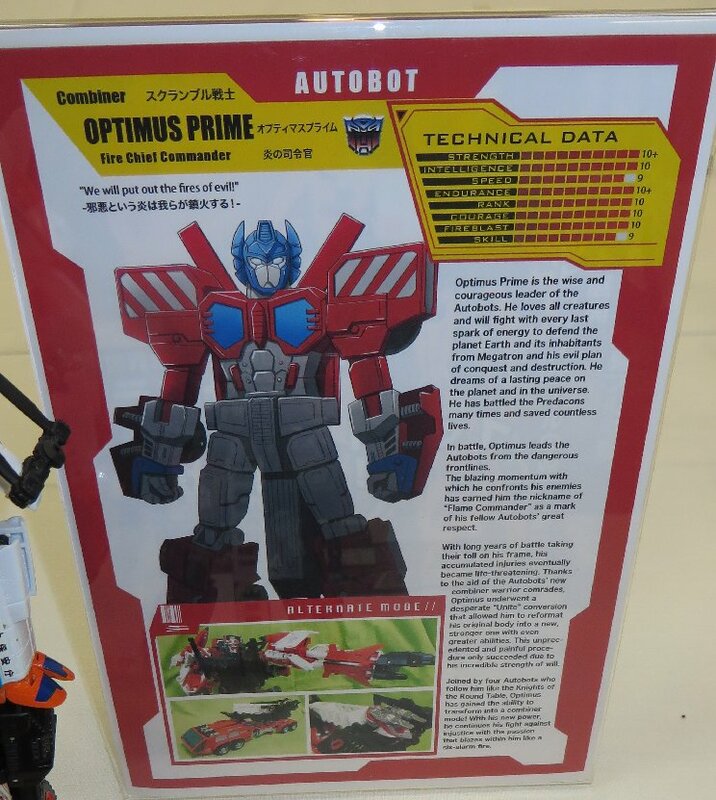 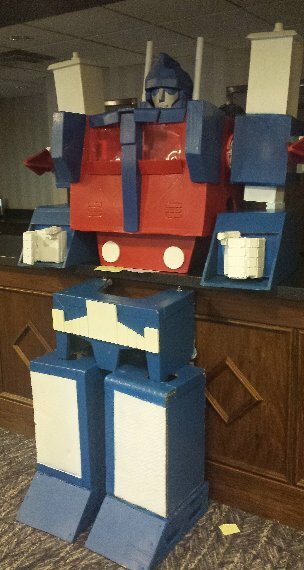 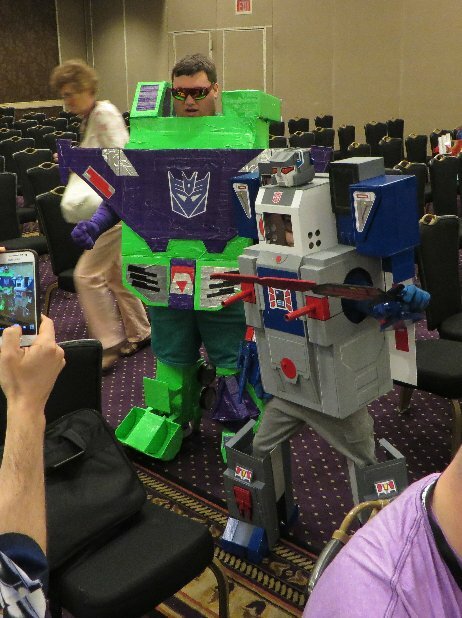 It was only just two years ago at BotCon 2014, that we had dozens of costumes, and a lot of well detailed costumes that would have taken a lot of time and effort to create. 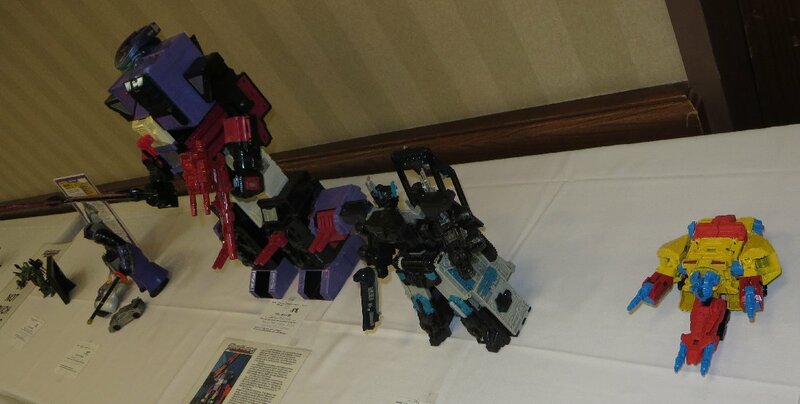 This was my pick of the year, a Fall of Cybertron Soundwave. 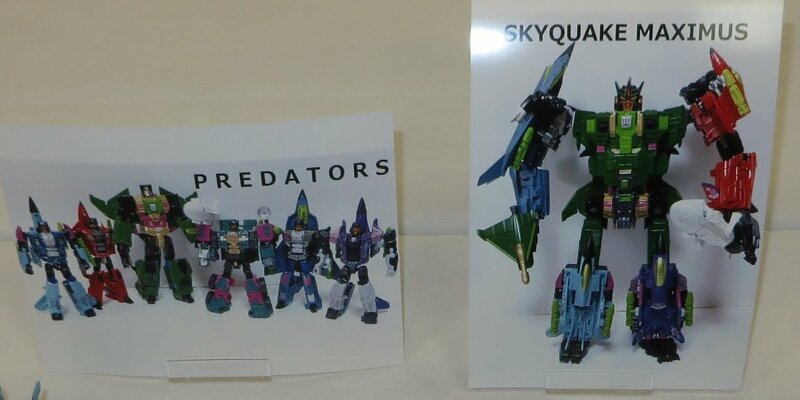 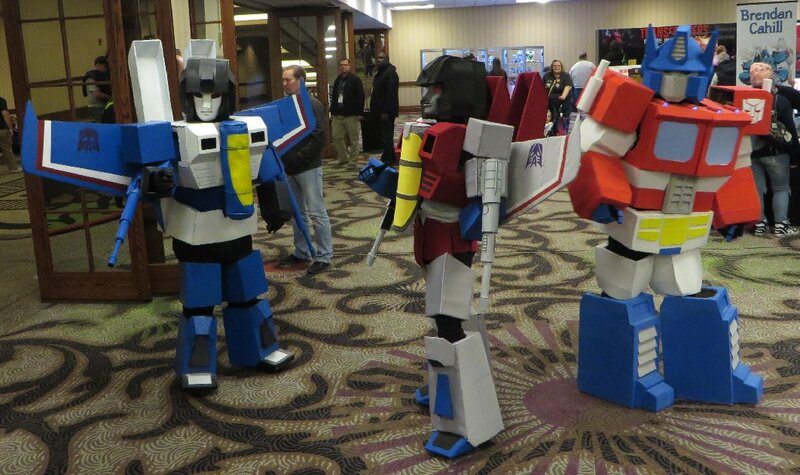 These two seekers were my next favourite. 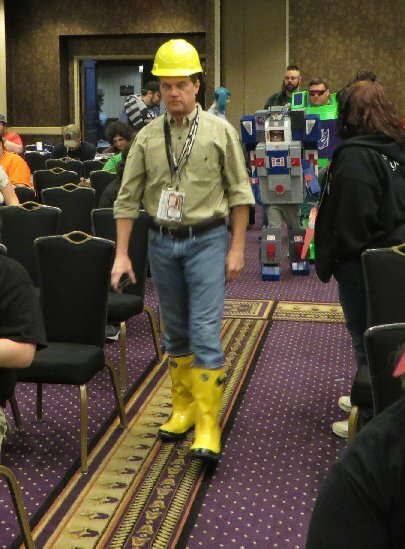 This was actually a very funny moment. 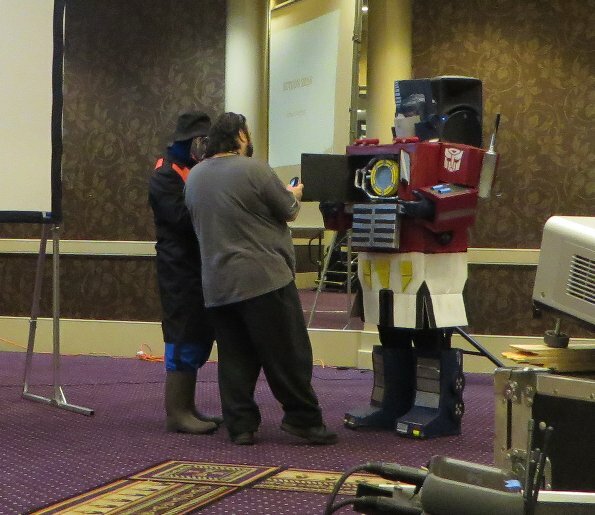 The various costumes at the Costuming/Cosplay panel on the Saturday. 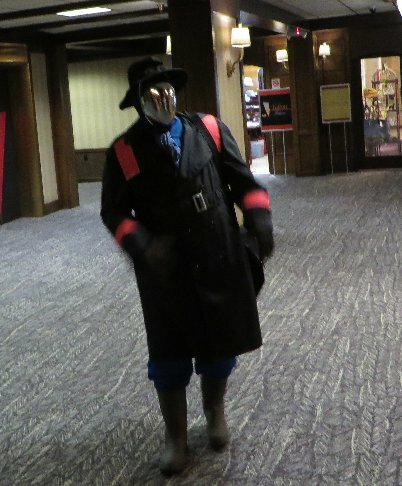 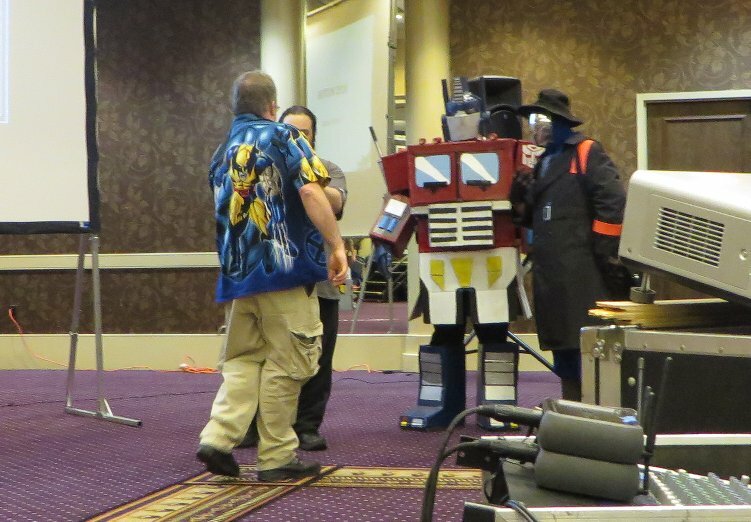 And it wouldn't be a BotCon if there wasn't someone dressed up as a GIJoe character. 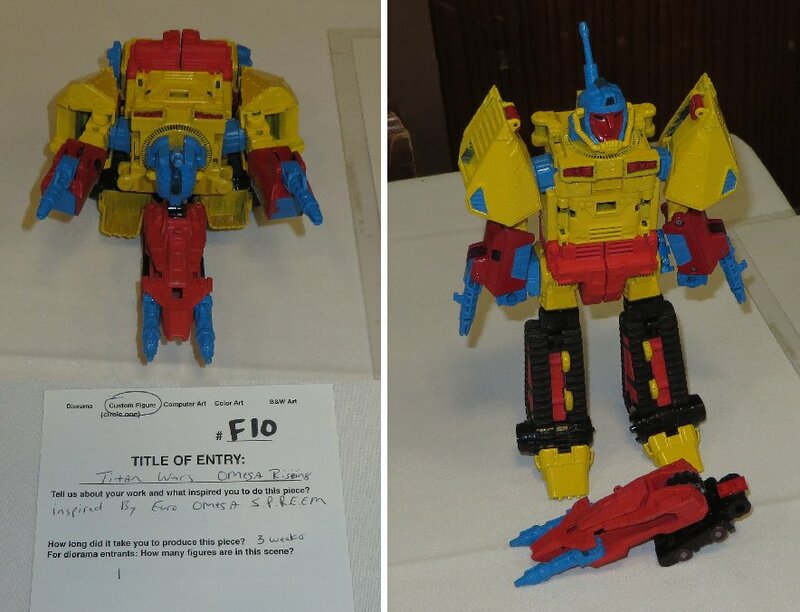 In the early years of the FunPub BotCons we would regularly have a pair of twins dressed up as Xamot and Tomax, as well as a very nicely dressed Baroness in tight leather... but this year it was an Old Snake, which I guess is technically a Transformers character.